Plans for this year's (first ever) Big Bloggers Christmas Party dubbed #BloggersXmas is beginning to take shape! With the venue booked and brands lining up, we're hoping this is going to be epic! We're hoping this event is going to be one to remember, and hopefully runs smoothly without any hiccups! There's still plenty of spaces up for grabs! Tickets (if there are any left) will also be available on the door for the full price of £15. Get them online now for the discounted rate of £10 ! Who's coming? : 200+ bloggers and around 20 amazing brands! Nearest Tubes: Liverpool Street, Old Street, Moorgate. At the event, you can browse the brands exhibiting, chat to the PRs and build some great networks, as well as make new blogging friends, play games, enter competitions and be festive! 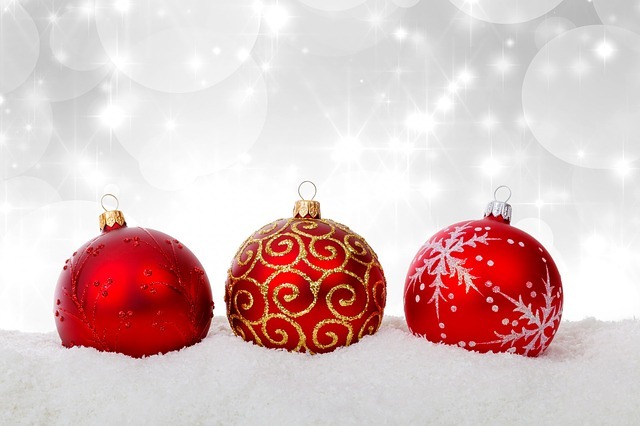 There'll be bauble bobbing, wrapping stations, a selfie booth, twitter and Instragram competitions to win amazing prizes, Brand Match Snap and plenty more activities! 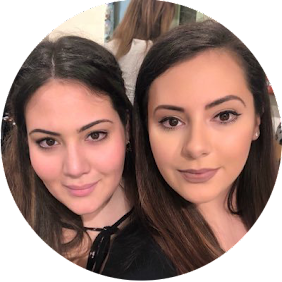 The #BloggersXmas is the first of what we hope will be an annual event held in London around Christmas time, to provide a friendly environment for like-minded bloggers to get together and meet fabulous brands. Not forgetting, you all will leave with a goody bag full of fabulous treats for you to try and review! We've got some amazing brands lined up and we can't wait to share them with you all! Follow us on twitter as well as the #bloggersxmas hashtag to find out which brands will be involved! If you're a brand (Fashion, beauty, lifestyle, travel or food) and want to get your products in front of all these bloggers, email me at events@soeursdeluxe.com for more information about how you can get involved! We have limited exhibitor spaces left! 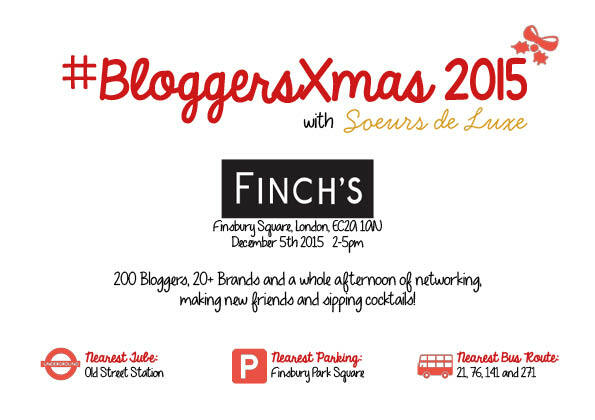 Are you coming to #bloggersxmas? Let others know in the comments below!